This tee shot will get your attention! 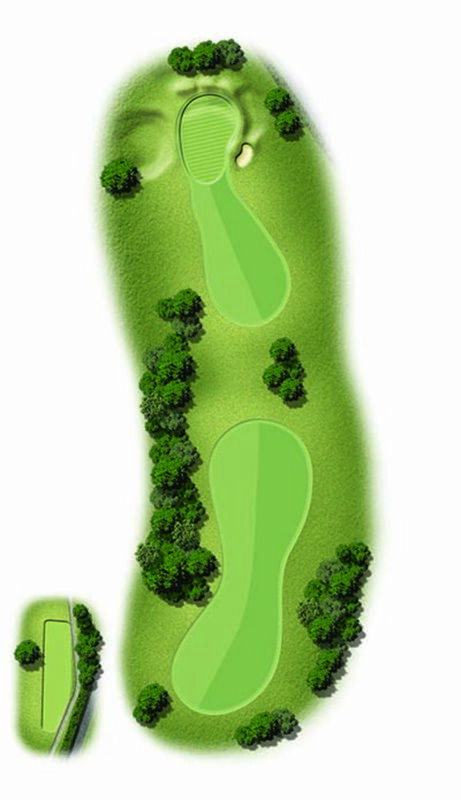 Thread your drive through the funnel of trees and then face a challenging approach to a compact green guarded by a hollow on the left and bunker to the right. Par whether gross or net is very welcome here.